On-demand TV and movie streaming service Hulu could well be about to launch in Germany. German publication Horizont.net claims that Hulu reps are currently in talks with German TV networks, hoping to strike deals that will see programmes set for a launch in Germany at some point in the near future. Senior vice president Johannes Larcher and consultant Olaf Kroll are apparently heading up the talks. And why should we care? Because if Hulu launches in Germany, a UK launch might not be far behind. 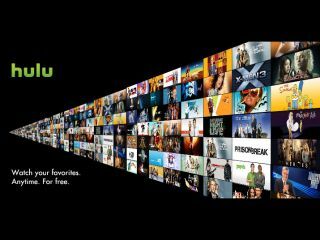 Hulu, however, offers a service not dissimilar to SeeSaw, the VOD service which was forced to close earlier this year when it failed to succeed in the UK. The American company hasn't been without troubles of its own, too – Hulu was up for sale, with major companies like Google, Apple, Microsoft and Yahoo all reportedly sniffing around, but it took itself off the market in October. Jointly owned by NBC Universal, Fox and Disney-ABC Television Group, it's ironic that Hulu has struggled to notch up content deals outside the US. But with Germany potentially about to give the company a European base, could all that be about to change?